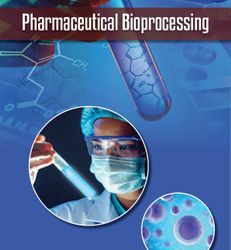 Pharmaceutical Bioprocessing is a peer-reviewed journal addressing all issues relating to bioprocessing in the development and manufacture of healthcare products. The journal serves as an authoritative forum for insights into the latest advances in the design and development of production systems and processes for the generation of pharmaceutical products - from manufacturing to purification, through to the assessment and preparation of the final product for patient delivery. Coverage encompasses the full scope of pharmaceutical production, including vaccines, antibiotics and regenerative medicine therapies. The phenomenal success of biological products in recent years has driven substantial advances in the science and technology surrounding bioreactors and bioprocessing. The rapidity of change and growing demand to fulfil market needs have created imperatives for increased capacity and efficiency, and for reduced production costs and batch-production timeframes. There is also a constant drive to attain adequate yields and meet the necessary standards of purification and stabilization. Furthermore, emergent areas of research, such as tissue engineering, are often accompanied by their own complex and unique challenges. Alongside the issues of process development, maintenance and scale-up, there are stringent requirements to comply with regulatory standards. To overcome these many and varied hurdles, molecular biologists, process engineers, biochemical engineers, microbiologists and manufacturing specialists and other professionals have formed a collaborative community that is committed to the development of robust scaleable techniques, equipment and systems. By publishing high-impact reviews, perspectives and original research covering all aspects of this rapidly evolving area of R&D, Pharmaceutical Bioprocessing serves the needs of the associated multidisciplinary industrial and academic communities. Each issue of the journal also features news updates, editorials, and interviews, presenting enlightened opinion and commentary on hot topics and current areas of debate. We consider unsolicited manuscripts for publication. Articles published in the journals are subject to rigorous double-blind peer review by independent experts in the field. Details of the article types considered are contained within the Author Guidelines. If you are interested in submitting an article, please contact us with a brief proposal and article outline in the first instance. We also have an active commissioning program whereby the Commissioning Editor, under the advice of the Editorial Advisory Board, solicits articles for publication.